1. Are there advantages to using a non-manufacturer (third party) vehicle warranty provider? Factory and dealership warranties will prompt or require you to use dealership or factory-sponsored repair shops, which can be tricky if your car breaks down in an unfamiliar city. True Auto Auto only requires that you get preapproval to have any necessary repairs performed at a licensed repair shop. If you prefer the dealership, you can go to them, or use a local mechanic's shop -- either way works for us! Also, your True Auto Auto extended warranty includes reimbursement and coverage services not generally found in most manufacturer policies. 2. I've still got a warranty from the factory. Why do I need True Auto Auto extended car warranty coverage? The younger your vehicle, the cheaper your extended warranty policy will be. So, now is always the best time to purchase a policy that will provide you with coverage on those unexpected and expensive repairs. Plus, an extended vehicle warranty will generally last long after the factory warranty, so you'll be covered for years to come. Oh, and don't forget that your vehicle warranty policy will transfer to a new owner, should you ever decide to sell your car, so you won't be losing any money. In fact, you'll increase the resale value of your vehicle! 3. I had a manufacturer warranty on my vehicle, but it expired. Am I still eligible for a True Auto Auto extended warranty? Of course! You can get an extended vehicle warranty with us any time before, during, or after having a manufacturer warranty. Some customers like having the extra peace of mind, just in case, while others may want to wait a few years after their factory policy expires before getting another warranty. Just keep in mind, the longer you wait to get a vehicle warranty policy, the more expensive it will be. 4. The dealership where I purchased my vehicle sold me a coverage plan, why do I need another auto warranty policy? The main reason it's excellent to have a secondary policy is that the cost through True Auto Auto will always be cheaper than the prices you'll see at the dealerships. The sooner you purchase an extended car warranty, too, the cheaper it will be, so you can be covered for the long-term, after your dealership's policy expires and repairs start getting more expensive. The other main reason for choosing an extended warranty is repair access. Most factory/manufacturer/dealership policies will require you get repairs done at the dealership where you purchased the vehicle, or at another factory parts repair shop. True Auto Auto wants your repair headaches to be as easy as possible, so we advocate you using any licensed and pre-approved mechanic you want to use. Anywhere. The entire U.S. and Canada are all eligible, and you can still use a dealership if you want! 5. I've heard that all coverage plans are basically the same, why shouldn't I simply purchase the cheapest one I can find? "You get what you pay for," is how the old saying goes. However, with auto warranties you'll likely find that the independent providers, like True Auto Auto, are the cheaper options on the market. AND we have the best coverage. True Auto Auto prides itself on excellent customer service, and often that's where the cheaper priced policies will shortchange you. We know that if your car needs repairs it's already a hassle, so we're there to make sure you get the help you need. 6. How old does my car need to be to be eligible for warranty coverage? We'll cover most vehicles less than 11 years old, and quite a few that are older than that. The easiest way to find out is to give us a call or just submit an Instant Quote request. Will a True Auto Auto policy cover "Wear & Tear" problems? Of course! If a part of your vehicle fails due to "wear & tear" issues that extend beyond the manufacturer's listed tolerances, it will be covered. 7. Will a True Auto Auto policy cover "Parts & Labor" expenses? Of course! Our extended vehicle warranties will cover all policy-covered automotive parts, necessary fluids, and associated labor costs (including the taxes!). 8. Who is the claims administrator or "Administrator" I see referred to from time to time? A claims administrator or "Administrator" is the person who will follow your claim needs from beginning to end. When you report the repair needed, they will assess the coverage allowed by your purchased extended warranty, authorize payments, and document the entire process. In the event of a repair, your chosen repair shop will need to contact the Administrator to help get your claim started. 9. 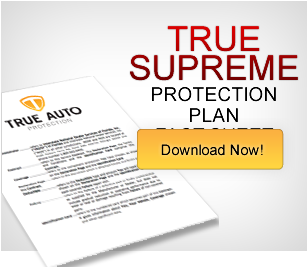 True Auto Auto policies are so affordable. How do you all do that? True Auto Auto is a direct dealer of extended vehicle warranties. When you purchase from us you don't have to pay three levels of in-between "middlemen" types. Dealerships often have such high prices on their similar warranty packages for this very reason. 10. If I purchase an extended warranty coverage plan with True Auto Auto, when will my coverage begin? When will it end? Your True Auto Auto coverage will start thirty (30) days and one thousand (1000) miles from the date of your purchase. If you own a brand new vehicle, then the policy you purchase will be instigated immediately upon purchase. For a new vehicle the plan you purchase will expire when you reach the mileage limit specified, or when the plan date expires, whichever was chosen with your plan. For older vehicle warranty policies your coverage begins with the odometer reading you have and on the given purchase date, and ends when the plan date ends or at the specified mileage limit, whichever was chosen with your plan. 11. Where must I take my vehicle for repairs using the True Auto Auto services? Relax, you can take your car, truck or SUV to any licensed repair shop in the United States or Canada. We want your repair needs to be as easy as possible to achieve, so you can get rolling again. 12. When I make a claim using my vehicle warranty coverage, how will payment be made? When you visit your chosen repair shop, show them your True Auto Auto policy and have them call our claims administrators to get authorization on your repairs. Once the chosen repair facility receives proper authorization and a confirmation number they will be able to perform your required repairs. Following the repair work completion you will need to sign off on the repairs and the mechanic's shop will need to send (fax) that signed copy to us. We will then be able to make payment to the repair shop at that time.